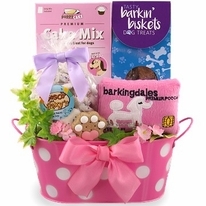 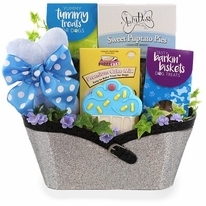 Bisket Baskets excels in designing the classiest pet gifts and our Classy Canine Dog Gift basket is no exception. 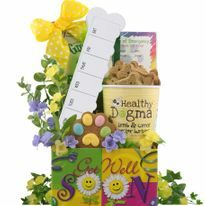 A beautiful and reusable tin container holds this assortment of doggie treats. 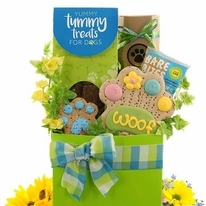 Bakery fresh biscuits hand cut and beautifully decorated along with a tail wagging assortment of other gourmet selected biscuits and treats for that exceptional canine you love so. Tell your furry friend they're special with this high end dog gift basket. 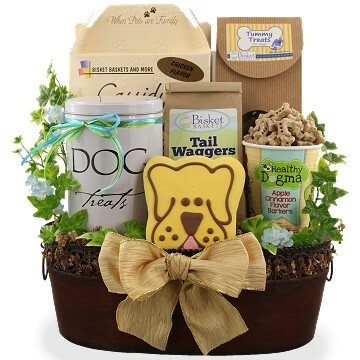 Great gift idea for good dogs, pet lovers, dog lovers, veterinarians and even that hard to buy for person that simply loves their dog!